You join a gym to get in shape, to reach your fitness goals, and to become a better you. You pay a lot of money to have access to all the equipment and classes needed to help you reach your goal. The only problem is picking the right gym for you. How do you choose? What are you looking for? Which is going to be the best fit for you and your goals? At BodyPlex Fitness, we have everything you need to get the best workout, make time for the gym, and stay on track with your goals. We offer different memberships, are open 24/7, and have high-quality trainers to help you with all your fitness needs. 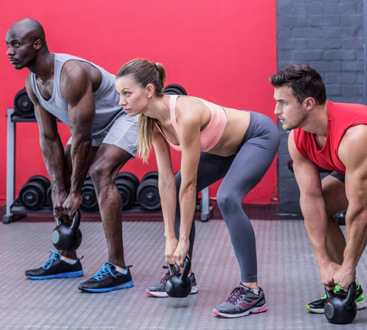 If your main concern is great fitness classes, you will find more than enough at BodyPlex, with world famous group fitness classes including the Les Mills classes, SilverSneaker, Zumba, and so many more. These classes are going to help you get in shape and stay in shape, while motivating you to keep working hard to improve your fitness abilities. 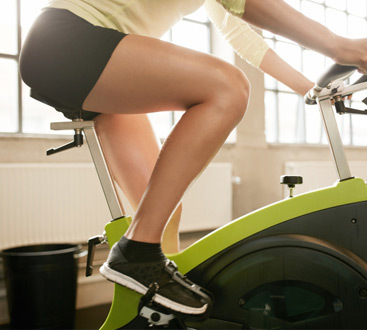 Fitness classes, especially aerobic classes, can help you burn calories. Getting you to your goal faster and in a fun way! You can select from our many different gym memberships, too. From personal training to our basic membership. We have small group training memberships, where you work out with other people but get the personal trainer feel. Some people get a better workout by being motivated by people around them, others are motivated by seeing their own results and having one-on-one training. Pick whichever will help you reach your goals fastest! Contact us if you have any questions about our memberships! Sure we may have the classes that will do your body wonders, and the memberships that allow you to get results the best way possible, but the thing that truly makes the difference, that makes us better than other gyms, is our team. We are dedicated to fitness, we are knowledgeable and ready to help whenever we can, and we are excited to assist you in achieving your goals. We aren’t just normal people working at a gym, we are a team of hardworking, passionate people who want to help you and make working out a great experience for you. Our trainers and fitness instructors are the best in the business. They will help you, in every way they can, to reach your goals, learn more about fitness and health, and have fun doing it! The most important thing to us is making your time at our gym fun and addicting, helping you work toward your goals and enjoy doing it. If you aren’t convinced yet, maybe this will help. We are open 24/7. That means if you work odd hours and can only make it to the gym at 3 in the morning, we will be open for you. If you want to work out at midnight, we will be open. With two locations, Woodstock and Jasper, we can serve a large areas in Georgia. Here at BodyPlex Fitness, we understand that it is hard to find time for the gym when you work, have kids, go to school, or are just a person living life in general. Life is busy and we understand that people have weird hours and habits. That is why we are here to accommodate for that, to help you hit the gym whenever possible. Not many other gyms can say that. Do you still need one more reason to try out BodyPlex? We have a daycare center, KidsPlex, so you can drop your kids off with us while you fit your workout in. Making it to the gym when your kids are at home alone is not going to be easy for you. That is why we help out in this area as well. Here is another bonus: On Friday nights, we offer date night. We host a daycare for your kids while you and your significant other go out on a date. Physical health isn’t the only health that matters. We will offer you a break from your life, so you can relax, have fun, and enjoy a night to yourself. If all these great services and features didn’t convince you, why not just give us a try? Once you get here, you may change your mind. At BodyPlex Fitness, we are dedicated to you, helping you reach your goals, taking care of you in ways other gyms can’t, and making working out fun. Contact us if you have any questions about our memberships, classes, or gym in general.